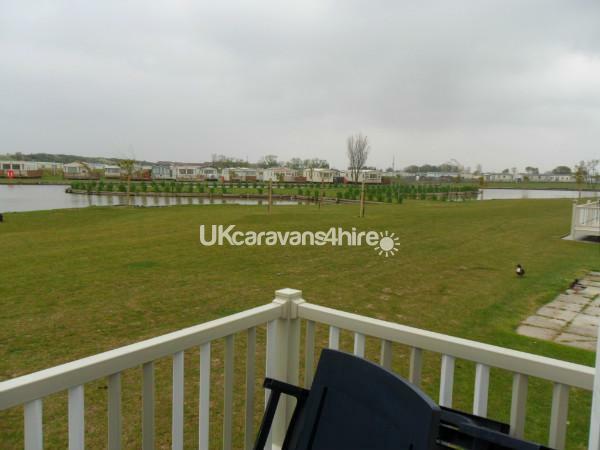 A non-refundable £50 deposit secures your booking. Full payment a minimum of 4 weeks before your stay. 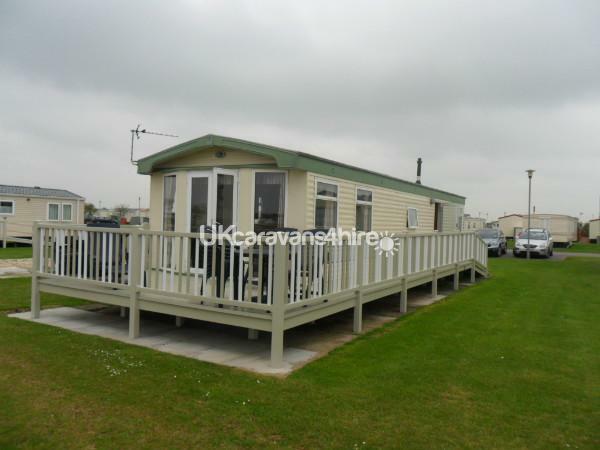 In addition we ask for a £50 "trust and care bond" ,this is returned when the caravan is vacated and inspected. Payment by cheque or bank transfer. 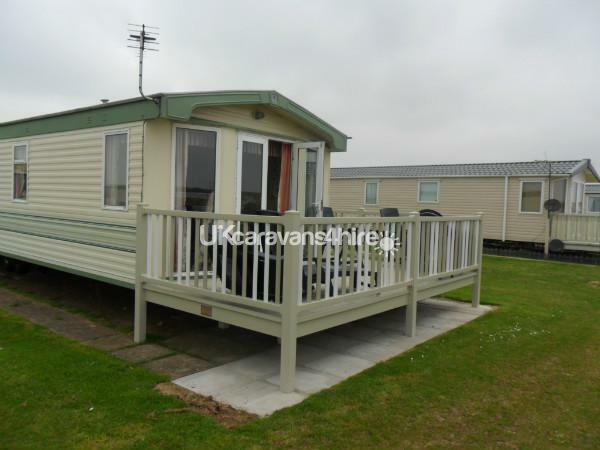 We have a large BK Bluebird Super Empress caravan for hire on Waterside Leisure Park in Ingoldmells. 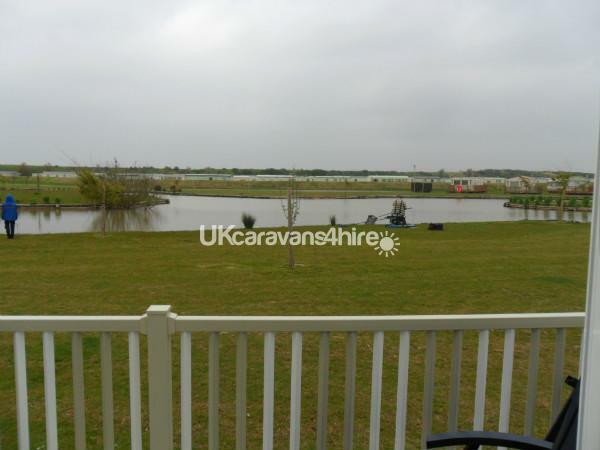 The caravan is sited on a quiet plot with uninterrupted views over the fishing lake. The lake is approximately 15 yards from front of van. 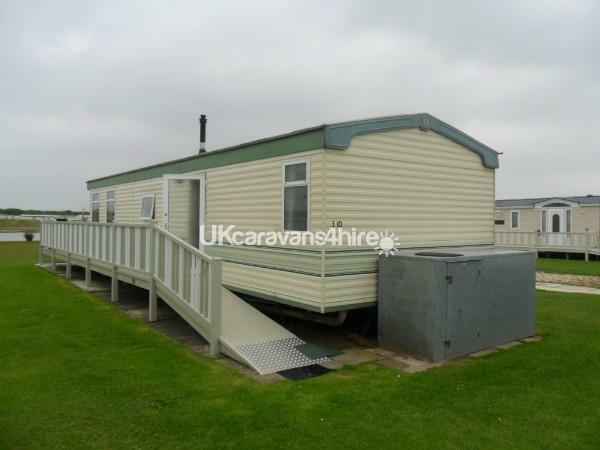 Recently refurbished with new flooring, cooker, electric convector heaters and carbon monoxide detectors. 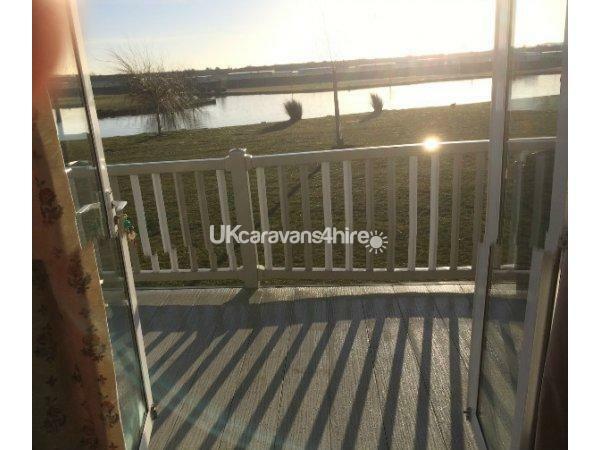 Patio doors from the caravan lead onto our newly installed veranda, with plenty of garden furniture from which to enjoy the view. 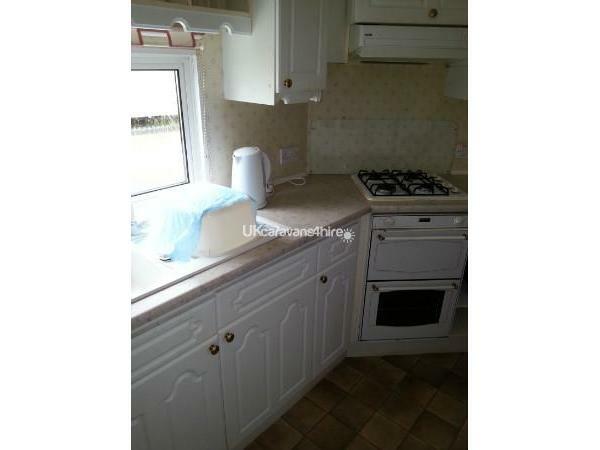 We have a well stocked kitchen with a new 4 ring hob, grill and oven, as well as a new fridge/freezer and microwave. 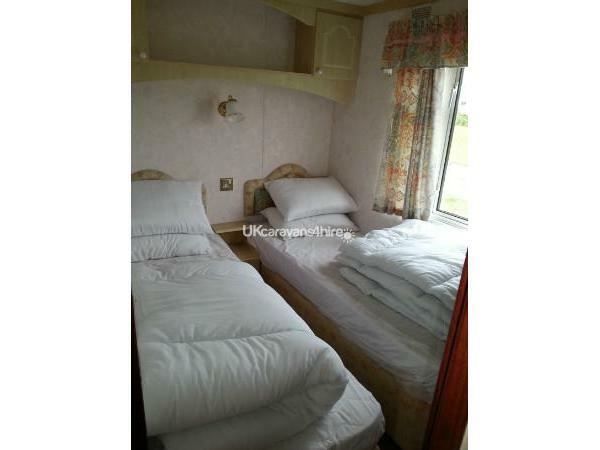 The double bedroom has fitted wardrobes and an en-suite toilet with sink. 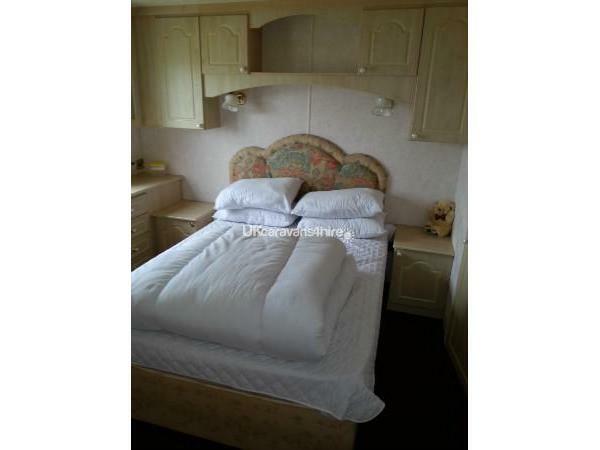 The second bedroom has two single beds and fitted wardrobes. 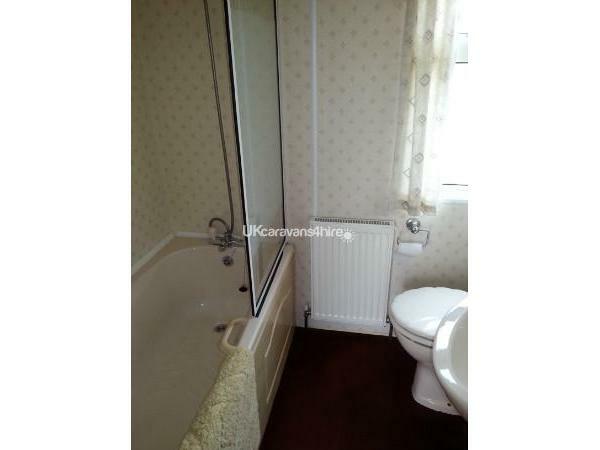 In addition to the en-suite there is a large family bathroom with full sized bath and shower mixer tap. 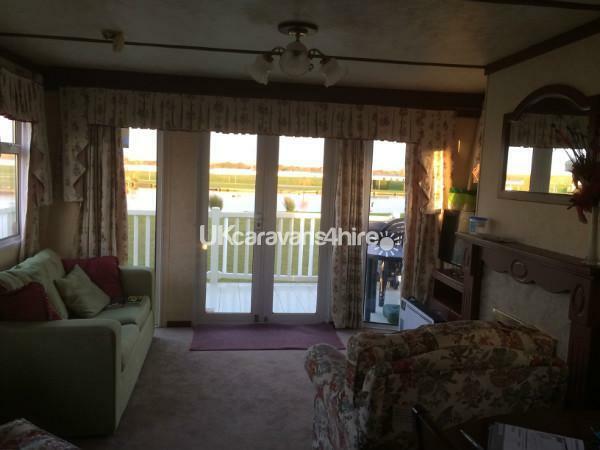 In the lounge you will find a sofa bed settee and two armchairs, along with a digital TV and DVD player, and full sized dining table. 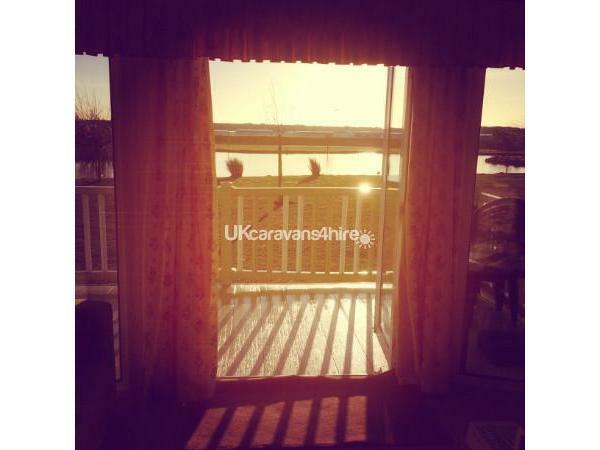 The caravan benefits from double glazing and central heating. Full weeks, mid week bookings and weekend bookings all possible. Additional Info: A fishing permit can be purchased from the reception on either a daily or weekly basis. Please contact reception for further details and prices.